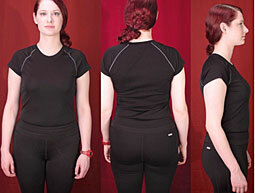 Use above result as Starting Waist Size to make a Practical Waist Training Plan. i.e. Fat Burning Waist Trainer (5 hours), Inner Body Waist Training (4 hours), Body Shapewear (rest of the free hours) according to your lifestyle. Office Work (Not much Clients/Meeting Interaction) - Fat Burning Waist Trainer is ok. Or Inner Body Training Corset if you don’t want to sweat. Office Work (Lots of Meetings and Interaction with Clients) - Inner Body Training Corset or breathable shapewear / Waist Trainer. There is no one Waist Trainer can train everything. If you have seen a “All arounder” Waist Trainer. It must be lying. There isn’t one corset which can do everything. 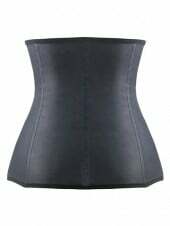 Waist Trainer which does the Fat Burning for your outer body needs to be a little elastane and it is not breathable too, to be able to do its fat burning Job. Waist Trainer that does the inner body training which is a physical training for shaping are not elastane at all. It is absolutely non-stretchable and very much breathable most of the case. 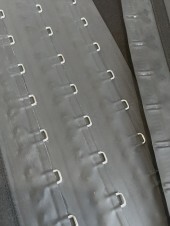 They all have full lace tie-back for you to tie by yourself. It is not able to avoid lace-up back for waist trainers which train your internal intestine (Inner Body Training). Thanks to search engines like Google which you can easily find all different kinds of waist trainers online. However, It is like a lucky draw game. Sometimes you are lucky, sometime you don’t. Brands like MagicFit is not only reputable as waist training specialist, but also well known for its unbeatable prices, quality and super efficient customer services. 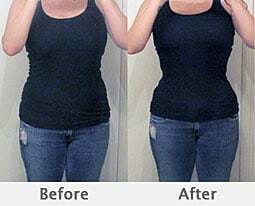 Buying Genuine Waist Trainer from MagicFit, you would always be Lucky at your choice. If you are looking for even faster result, diet would be helpful. Eat only healthy food can accelerate Waist Training Progresses. It is proven by many waist training case studies.